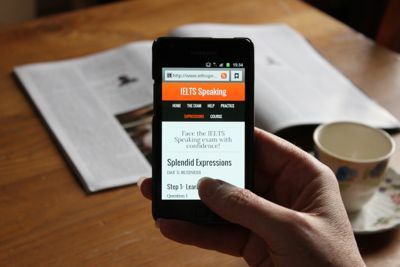 In Part 2 of the IELTS Speaking exam you have to speak for between 1 and 2 minutes on a set topic based on information on a card the examiner will give you. You’ll be a given a minute to prepare what you want to say – just enough time to jot down some ideas to help give your talk structure and interest. Example 1: Describe a teacher you have fond memories of. and what it was about the person that makes them so memorable. Example 2: Describe an item of technology you use that you couldn’t do without. and why it’s so essential for you. a) Make the most of your preparation time and make notes. c) Add personal details such as short anecdotes to help make your talk interesting. d) Don’t speak too fast. Pause between sentences and try to relax. 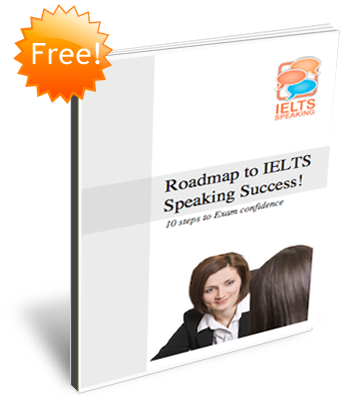 Many people preparing for the IELTS long turn worry how they can finish what they want to say in the time available. The best way to get the timing right is to practise making short talks on various topics on your own. (Or in front of a friend if you’re feeling brave!) Try building in a short introduction and conclusion to give your talk structure. You’ll almost certainly overrun or finish too quickly at first but the more you practise the sooner you’ll get a feel for the time available. And remember, we often feel nervous when presenting and this can often lead to us speaking too quickly. Try not to rush. Regular pauses between sentences will help you control the pace of your talk and the examiner will find it easier to follow what you’re saying. You can find out more about structuring short talks and using pauses for effect in IELTS Speaking Advanced. Visit our IELTS Vocabulary section to learn some useful vocabulary for Part 2. Really, many thanks for you.